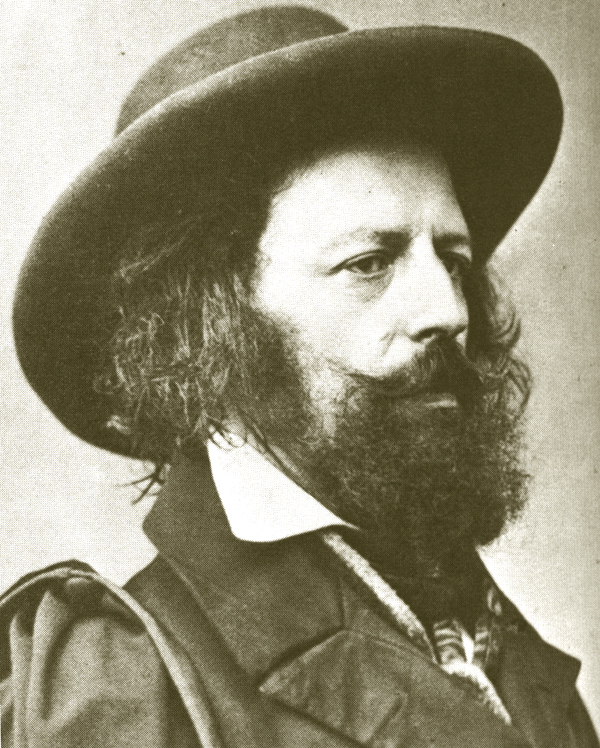 There is often a feeling of passivity in Tennyson’s poems. In his early poetry especially, there is a tendency toward morbidity of feeling: the mind’s alienation from the world. There is a sense of irresolution and dependence. In Tennyson’s early work, there is ‘a desire for oblivion’ (Larkin) which runs counter to the stated theme. Tennyson calls this ‘a loss of personality’ which seemed ‘the only true life’. There is a looking back to an idealised past, often medieval, at a time (1830) of rick burnings in Cambridge and the revolutionary movements inEurope(the Tolpuddle Martyrs were transported in 1834). He is uneasy about the effects of laissez-faire economics/capitalism. The utilitarian atmosphere of the period and The Age of Steam was in conflict with ‘Art for art’s sake’ and the rise of the so-called decadents towards the end of the nineteenth century. There is a sense of the plight of individual consciousness bereft of the Romantic sense of harmony. Tennyson seems to turn from people and relationships towards the landscape and nature as a symbolic source and substitute for them. A defense for this approach is that poetry sought to explore the states of the mind rather than the world of ‘reality’. His view of the past protects him from facing the turmoil of the present. He has a dread of and a fascination with the unplumbed depths of the psyche which leads to an inability to act. Trance-like states, with water, rivers and the sea are significant Tennysonian emblems. In his work, there is a contrast/interface between micro and the macrocosms. Tennyson’s dramatic monologue is used for experiences not his own and this produces a distinction between concept and experience. The dramatic monologue becomes a performance of a personal ‘truth’ and a personal ‘reality’ which are not Tennyson’s.